Don’t try to encapsulate everything in a title. Instead, think about what is the most appealing and interesting part of your e-mail and flesh it out clearly. This may not necessarily be the title of your event or the most important detail of your event. But it should be something that people relate to. That is the only way to learn what compels, drives and appeals to your target audience so that you can think of a subject line that they will respond to. Be careful in making assumptions about what your target audience wants. What you think is important for your target audience may not be what they think is important for themselves. 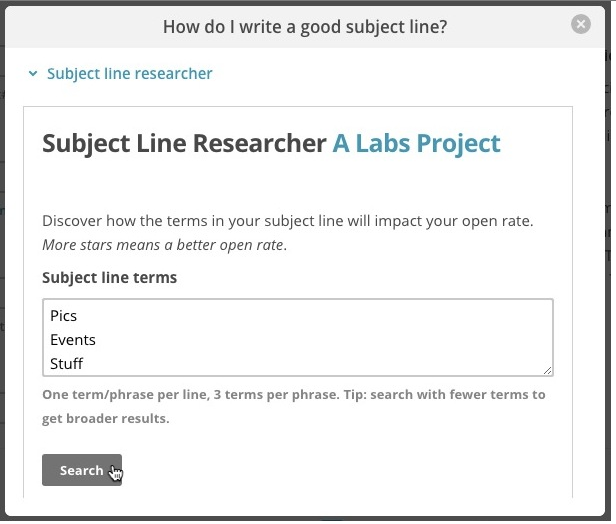 Ultimately, a good subject line is clear, concise and compelling! Don’t write in an overly promotional tone. Speak as if you are sharing something of value to a friend. Many people become overly creative with their titles and visuals but this could be counterproductive because your message is obscured. You have few chances to sustain the interest of your target audience even after they open your email. Once your reader has opened the e-mail, they need to find something useful or interesting immediately, or close the email. So get to the point. Get straight to the point. Tell your reader about the event, it’s best feature and keep it short! Flesh out the most important or most attractive aspects of your event. Don’t bother with a preamble, the history of your event, or why you are organising the event (unless you think your event goers will be interested). In fact, you don’t need to start with the event details, even though they are extremely important. Some things you might want to point out immediately include the fact that Elon Musk is speaking, the chance to mingle with the top executives of the industry, or the opportunity to pitch their ideas for $100,000. But what about email greetings? Greetings should be kept as simple and brief as short as possible. However, do spend some thought into crafting a gmail-friendly greeting for gmail users. The greeting and the first few lines of the e-mail is critical especially when using Gmail. Gmail’s algorithm look at the content of the email (amongst other things), which includes your greeting, to determine if it should be in the primary, social or promotion email. Just make sure your greeting is personalised and not overly promotional! Overloading your email with images can increase the bounce rate as many companies limit the sizes of the emails their staff can receive. However, it would help your email look more professional or appealing with a banner at the bottom of the email and one or two relevant pictures that help your event goers visualise the event. A picture speaks a thousand words, so you don’t need more than 3-4 images to get your message across. 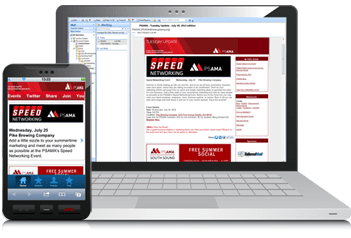 If you are going to send out event emails frequently, consider investing time and resources into creating a very basic email template that includes all the information to your company website, event website and useful links. This way, potential leads may be converted more easily! What drives a reader to close the email immediately is when the email is difficult to read. And one mistake many event planners make is forgetting to optimise their emails for mobile. Many event goers are finding events through mobile devices and they expect the event organiser to keep up with them and make their mobile experience as easy as possible. The last thing you want is for your email to end up in the spam box. Choice of words is very important. Failing to take note of language can cause higher frequency of your email subscribers to junk your email. On top of that, Gmail’s complex algorithm scans the content of the email and can also identify your email as spam, sending it straight to the trash without your email subscriber ever seeing it. Ultimately, always aim to create meaningful and personalised content. When you do so, your readers are more likely to respond to and engage with the content rather than label it as spam. You will also gain higher credibility, which increases open rates! Make sure to test send your email to see how it turns out on different mobile devices and in different emails. This is the most fool proof way of making sure your email ends up where you want it to be. Test send it to friends/colleagues who could be your customers to see what they think! 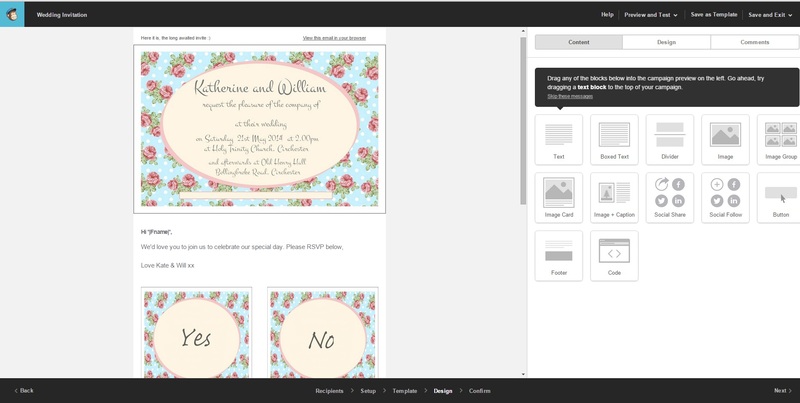 Did you know you can send customised email invitations with EventNook’s online registration and ticketing platform?